This approach to innovation has been difficult to normalize in the modern sports world. The smallest examples of advances, like head-mounted cameras on referees, are met with huge adoration—not because it is so cutting-edge, but rather it is simply something new. 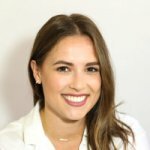 Over the last few years, Maple Leaf Sports & Entertainment (MLSE) has been on a path to become the most innovative sports organization in the world, and though they may not have an Emmy win (yet), some of the initiatives they are leading are shaking up a traditional world full of purists and reluctant executives. 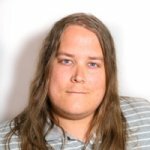 Around 10 months ago, chief technology officer was not a role in the MLSE organization. That changed when they hired Humza Teherany. His mandate was simple in nature: Put together an internal team that could enable the greater MLSE organization from a digital perspective. But when that greater organization includes an NBA team (Toronto Raptors), NHL team (Toronto Maple Leafs), MLS team (Toronto FC), and CFL team (Toronto Argonauts), along with all of their respective farm systems and the stadiums they call home, enabling digital experiences becomes a daunting task. Teherany had to find a way to bring digital transformation into every part of the MLSE, from in-stadium experiences to smartphone apps to player management to food and beverage handling. “We benchmark ourselves against not only other sports and entertainment companies and leagues but also against big technology companies and how they approach problems,” says Teherany. 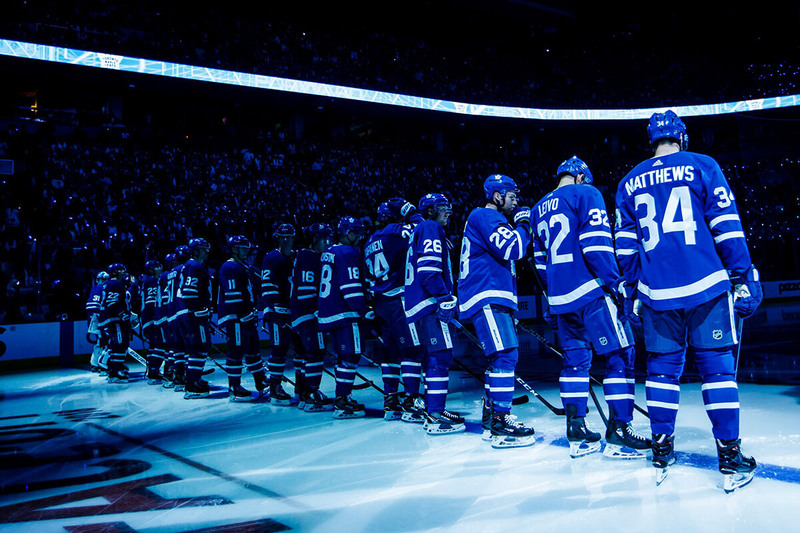 MLSE’s flagship team the Maple Leafs, lined up in Scotiabank Arena, Toronto. In that sense, the way a sports organization approaches digital transformation is similar to how a traditional enterprise company explores the new technologies they can use to update their processes. For MLSE, digital reinvention is split into three ways of thinking: The first is the base business meaning everything a person experiences in the organization such as buying tickets, ordering drinks at the game, or downloading an app to check stats or game times. The second approach revolves around innovation and tasks MLSE can undertake in 2019 that create next-generation experiences. This includes in-stadium activities such as the ability to use a phone to play a VR-powered basketball game before each home Raptors game. “Things based on where technology is today,” explains Teherany. Finally, the last “bucket of thinking”—Teherany’s apt innovation term for these digital sports evolutions—is disruption. “We benchmark ourselves against not only other sports and entertainment companies and leagues but also against big technology companies and how they approach problems.” – MLSE CTO Humza Teherany. A recent example is the beta-launched Scotiabank Arena app, which is the home of the Leafs and Raptors. As the owner and controller of a stadium that also hosts major concerts, Teherany and his team realized the typical experience of going to see your favourite band has been the same routine for years. For a KISS concert held this year, ticketholders were sent an email code to download the beta version of the arena’s app. From there, attendees could pre-order KISS merch, pick it up from a designated location, and wear it for the entire concert. No more waiting in lines for an hour and missing the opening songs. 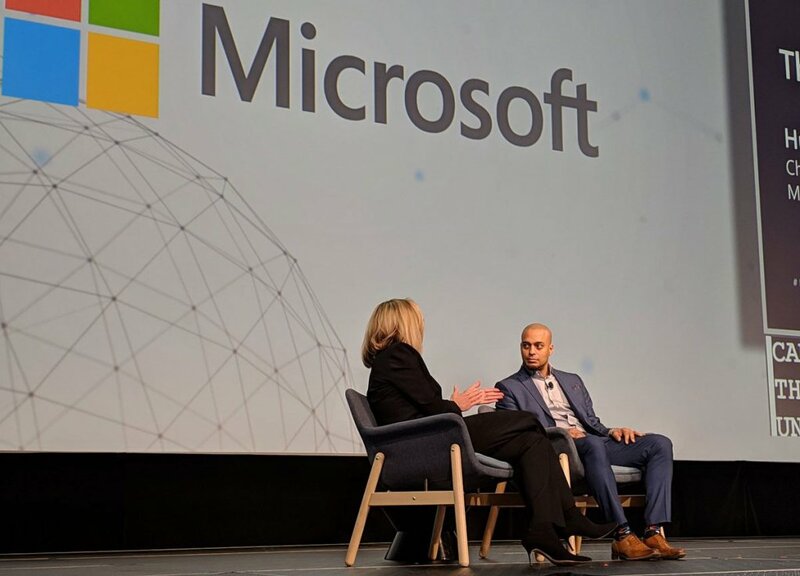 Teherany (right) speaking about sports disruption at a Microsoft conference. This kind of feature is one that speaks broadly to a younger fan base and marks the importance of using digital to reach new audiences. Teherany points to a recent Travis Scott concert, where lines for merch were up to two hours long. In that case, the clothing itself was as much of a draw as the actual concert, so the audience is willing to purchase a $100-plus ticket just to wait in line and buy a $50-plus shirt. An ”order ahead” function serves to make fans happier and connect them with what they want so they can truly enjoy what they paid for. As the app grows in capabilities, concert-goers will be able to order food and beverages, just like they currently can during Leafs and Raptors games. Not every concert will have the latest in streetwear as a merch option, but everyone can enjoy skipping the line and grabbing a beer or some snacks. This kind of change is dynamic, as the MLSE digital team is committed to updating it every two weeks as well. Enabling the digital transformation of an organization that runs four professional sports teams is a big undertaking. So much so that it requires a dedicated team, the first-of-its-kind in the sports world. “We are the only organization that has 100 people waking up every day thinking about technology, innovation, and disruption, and how to make our company better and smarter every day,” says Teherany. MLSE is one of the first sports organizations in the world to form their own digital lab, which is essentially a full-scale tech firm working within the broader group. Teherany employes full-stack developers, data scientists, project managers, UI/UX designers, and more, all in an effort to create the best digital offerings. This team has worked to unlock MLSE apps in over 150 countries and even make the Raptors’ app the most active in the entire NBA. The large digital division also makes it possible to embrace new partnerships and ways to reach audiences. MLSE is working with huge names like Uber and McDonalds this year—but primarily in a digital capacity. For one promotion, if someone ordered through Uber Eats, they might have also received a free Raptors swag pack. And if the Raptors shoot more than 12 three-pointers, fans can use the McDonalds app for free food the next day. 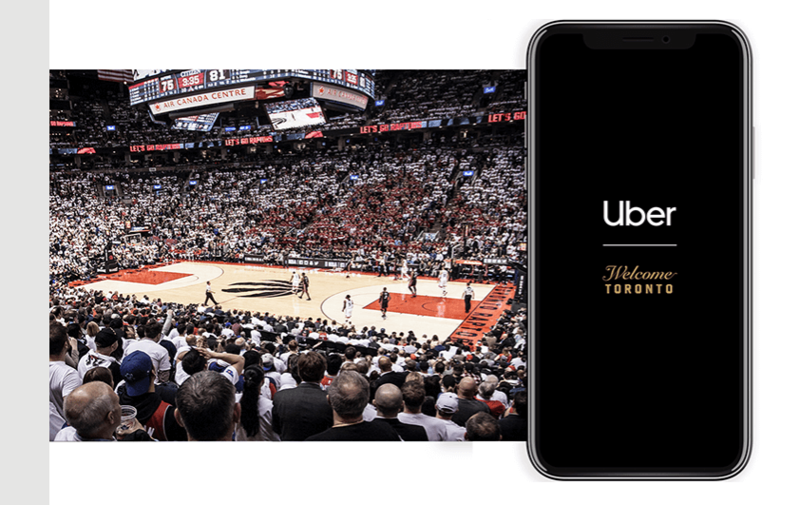 Toronto Raptors’ partnership with Uber. The push for digital innovation began at MLSE years ago and materialized even further when Teherany joined 10 months ago. However, an adept hockey fan might look at one other hire to better understand the organization’s culture change. In 2014, Kyle Dubas was hired as the assistant GM of the Leafs. In mid-2018, he was promoted to the GM position. Dubas was known in the hockey world as a highly analytical thinker, using stats and data to justify personnel decisions. One look at his “How Analytics has Limited the Impact of Cognitive Bias on Personnel Decisions” presentation at the 2015 MIT Sloan Sports Analytics Conference sums up his business acumen well. Other teams within MLSE are no strangers to innovation as well. Teherany points to the executive brass and front office of the Toronto FC and the Raptors as leaders in embracing digital innovation, recognizing that this kind of shift can only be achieved through a wholesale approval of transformation. Perhaps the most literal translation of MLSE’s approach to digital transformation is the launch of their Future of Sport Lab (FSL). 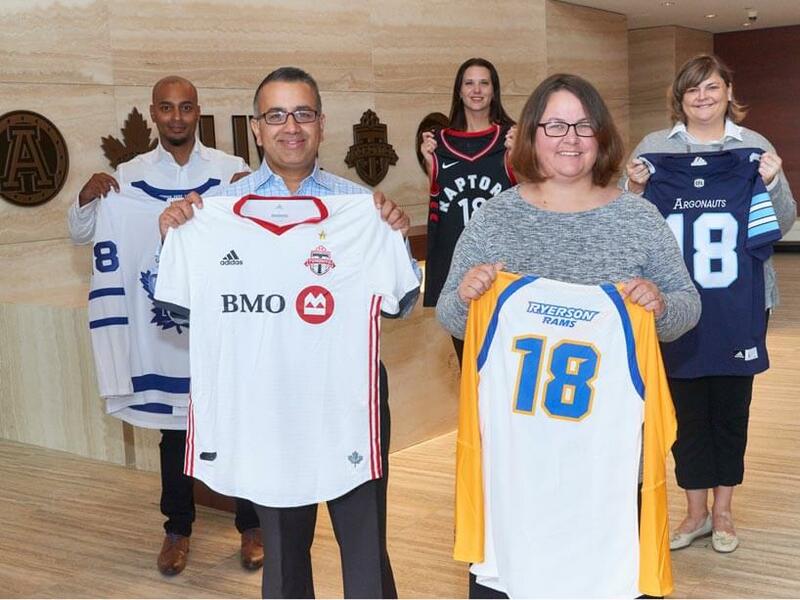 Together with Ryerson University, MLSE launched the first-of-its-kind incubator to drive innovation across the sports world. Led by Cheri Bradish, the lab brings a new approach to how companies can innovate in the world of sports. Over 60 companies applied, and just six made the final cut. The industries those six startups represent truly display what innovation means to MLSE. There is Performance Phenomics, a brain imaging assessment company; Rival.ai, an esports company that provides AI-powered scouting reports for players; SkillShark, a coaches platform for evaluating athletes; The Gist, a sports media group that creates content for women, by women; Spalk, a virtual commentary studio helping teams bridge the communication barrier; and Stakes, a platform that enables real-time betting between friends. The first four companies are Canadian, and the latter two are from the U.S.
“Intersecting sports and digital innovation in one sentence is special, and we’ve got this opportunity here to do something special globally,” says Teherany. The ability for a large-scale sports organization to offer startups the chance to have an impact is being mimicked in the greater tech world as a whole—but unlike the big banks being disrupted by fintech, MLSE is beating disruption to the punch by launching the FSL. Teherany (far back left) and Bradish (front right) at the opening of the FSL. The FSL has done just that. It has allowed all of the involved companies to experiment by launching pilots with professional teams, something that would be unheard of even five years ago. Ben Reynolds, the CEO and co-founder of FSL incubee Spalk, is taking full advantage. In fact, the price of using Spalk to produce commentary in different languages (or from influencers/athletes/comedians) is just 20 per cent of the cost required to fly out a full commentating team to an event. The potential is similar for Neil Anderson, the CEO and founder of another FSL incubee, SkillShark. Anderson’s company allows for youth teams to accurately track skill evaluations, an incredibly useful tactic for teams that can’t quite afford their own digital labs divisions. But as Anderson found, his startup can also find use within MLSE. SkillShark was also used in the recent Rogers Cup tennis matches in Montreal to evaluate chair referees and line judges. Whoever got the most calls right was asked to judge the final match. Digital innovation is difficult in the sports world, but it is made less intimidating when organizations embrace an agile mindset and open up their environments to constant testing and iteration. It is this kind of mindset that moves a sports organization from being a singular point of contact within one city to being a global force to be reckoned with. “Today, you now have the ability to live pilot a startup or feature with the Raptors, or the Leafs, or the TFC. And you get our digital labs behind you, because we want startups to be successful here and scale out to hundreds of leagues and teams across the planet,” Teherany says, summing up MLSE’s approach to digital.